By Glen Chapman, Missionary to Congo. In the midst of poverty, with the threat of invading armies from the East in 1998, a brand new Wood-Mizer LT25 arrived at Kikongo, Congo, perched on the back of a truck. In 1998, the Democratic Republic of Congo was in the midst of what has been called “Africa’s first world war”. Neighboring countries were lined up behind Congolese militia determined to take part in plundering Congo’s vast wealth in natural resources. Decades of neglect, mismanagement, and unrest had caused the Congo to fall into disrepair. 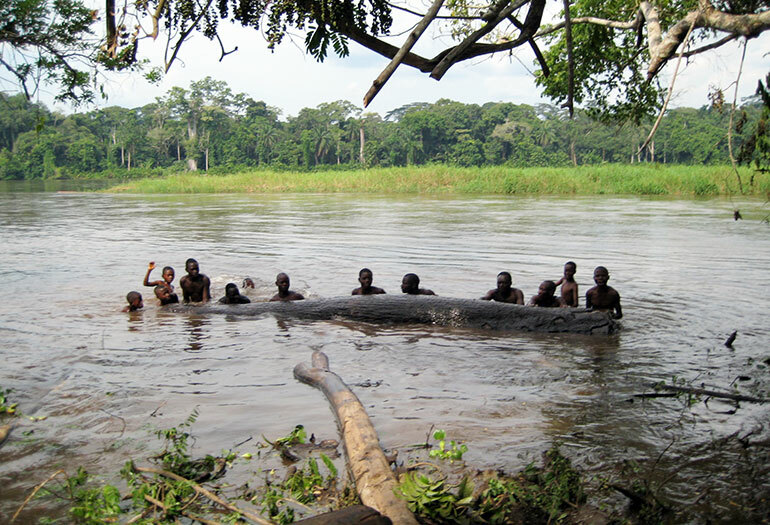 In the Bandundu Province, near the Wamba and Kwango rivers, the two commercial lumber mills had long gone silent. Lumber was available in the Capitol city, but that did not help those living in the interior of the country. 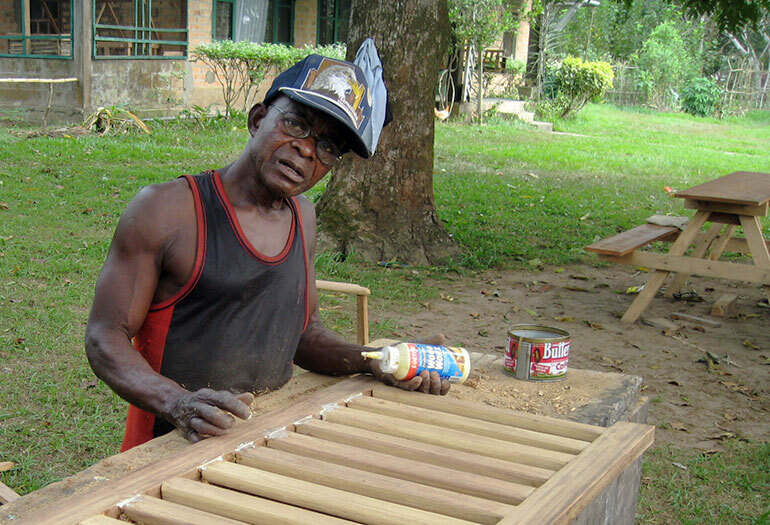 At the church center of Kikongo, the wood shop had been closed for many years because of the unavailability of lumber. Poverty reaches another level when people do not have a table to eat off. Self-worth falls to new lows when visitors come to your home, but you have no chairs for guests to sit on. In the midst of the poverty, with the threat of invading armies from the East, while the rest of the country was self-destructing, a brand new Wood-Mizer LT25 arrived at Kikongo, perched on the back of a truck. Even though the LT25 had wheels, the roads were too poor to tow the machine. Fourteen years later, an LT15 has replaced the first machine. Watch a video interview with Glen Chapman with original footage of the project. Wood-Mizer has brought dignity to people in the country that is at the bottom of the UN 2011 Human Development Index (HDI). 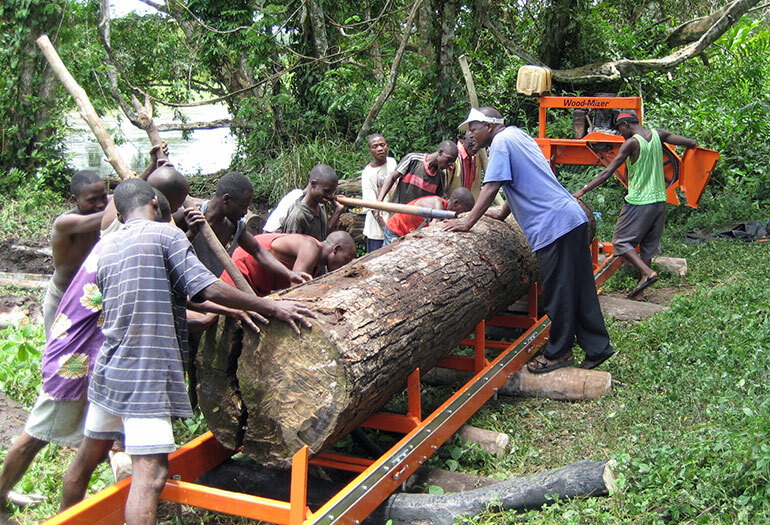 The Wood-Mizer machine’s inherent durability has enabled villagers who are not trained in mechanics to keep the equipment operational. The mill changed so many aspects of life in the surrounding area. Young men can find employment, either working at the mill, or learning how to be carpenters. 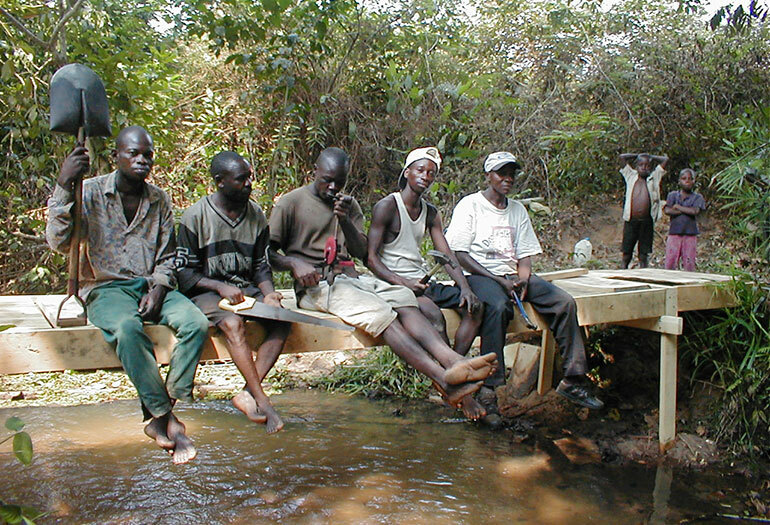 Visitors to Kikongo, such as patients who come to the Kikongo hospital usually return to their villages with a new chair or table. 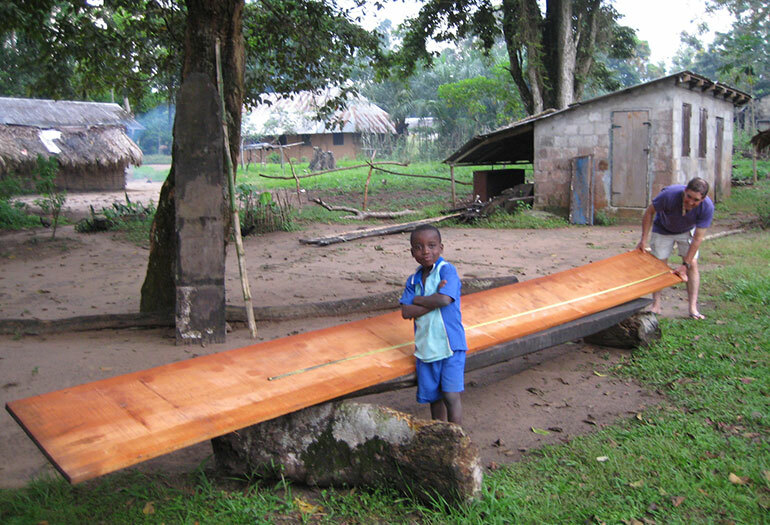 In this isolated rural area, where transportation is so difficult, the availability of lumber has enabled the Congolese to build bridges and boats. Before the lumber mill, school kids sat on bamboo poles. 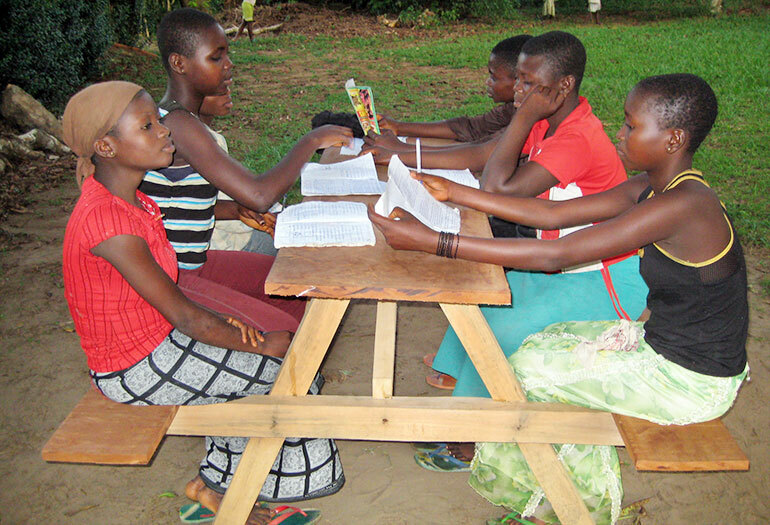 Because of the mill, children have locally made desks. The French word for lumber mill is “scierie”. When referring to the lumber mill, The Congolese affectionately use the ryming word “cherrie”, a play on words which means “dear one”. 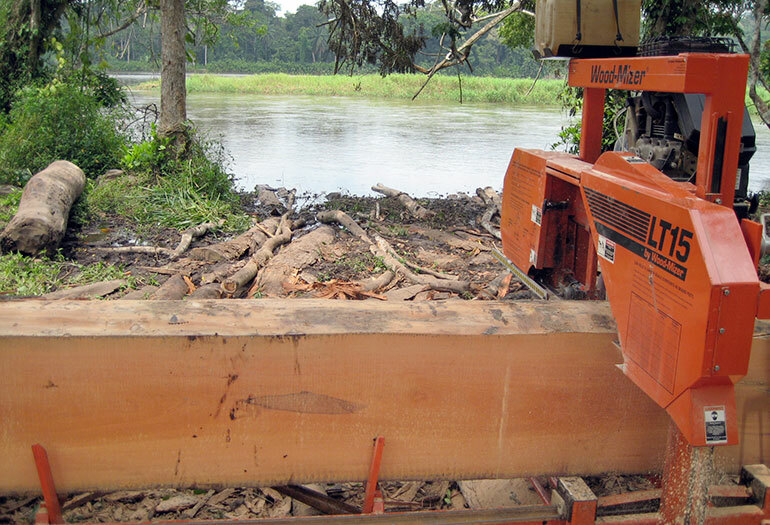 A Wood-Mizer sawmill has brought dignity to a troubled part of the world. It has allowed the poor to benefit from their own God-given resources rather than have these resources pillaged and taken from them.